Thank you for your Centara World Masters Golf Championship Registration or Inquiry. We have received your registration/inquiry details and will contact you shortly for the next step. We have sent a copy of your registration/inquiry to your email. If there are any items missing from the email or if there are additional requests, please don’t hesitate to let us know by replying to the email we sent you. Airport transfers are available from BKK/DMK. To book an airport transfer please click here. *10% discount will be applied to the lower-cost tournament. Offer is only applicable only to tournaments that are listed above. 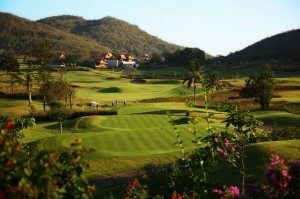 Just like the pro’s who play a couple practice rounds prior to a tournament, this warm up session brings you to the top 2 featured courses of Banyan & Black Mountain. Get your game tuned up so you know what to expect when the pressure is on down the stretch. 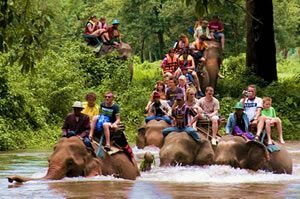 Once a separate Kingdom prior to the formation of Siam, the Northern city of Chang Mai is nestled in a Valley surrounded by mountains, the atmosphere invokes a more leisurely experience. The Khum Phaya Resort & Spa is designed in the Northern Lanna style.